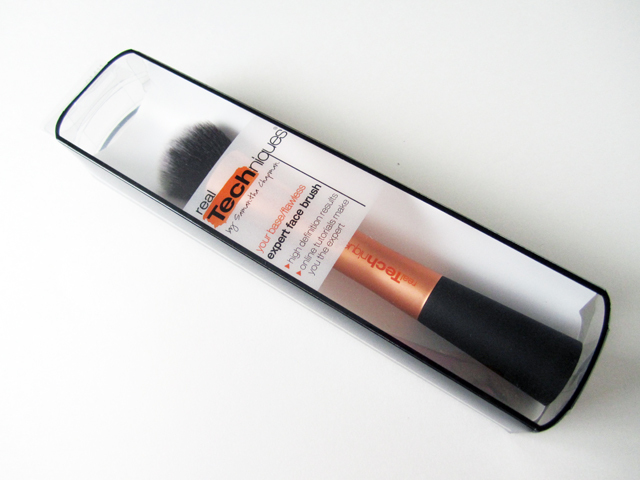 My second Real Techniques brush has finally arrived (packaging unscathed this time), the Expert Face Brush. It's another single and it was $8.99 (plus shipping of course). You can read my little review on my first RT brush here. 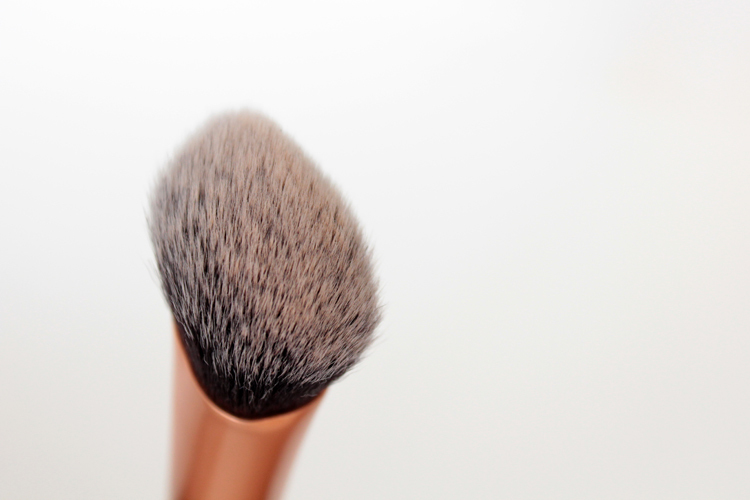 This is another cream or liquid foundation brush but I plan on using it for other things, like mineral foundation, bronze universal, or blush. 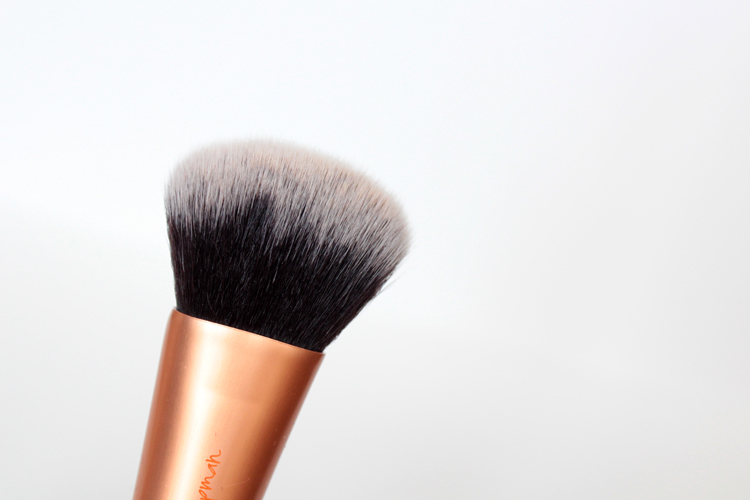 It's really a multi-purpose brush. It's an interesting shape. 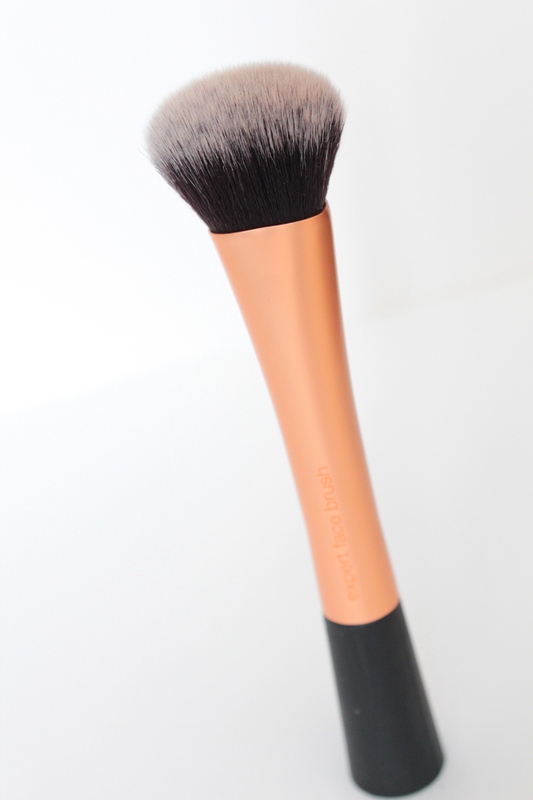 The brush hairs are firm and incredibly soft. Great for applying and buffing product. It really does create a flawless finish. I don't really have any cons about it (other than the handle, but that's minor at best). Must get my hands on these brushes!!!! !